Life is an adventure and your skin is sure to need a little extra love along the way! Life is an adventure and your skin is sure to need a little extra love along the way. 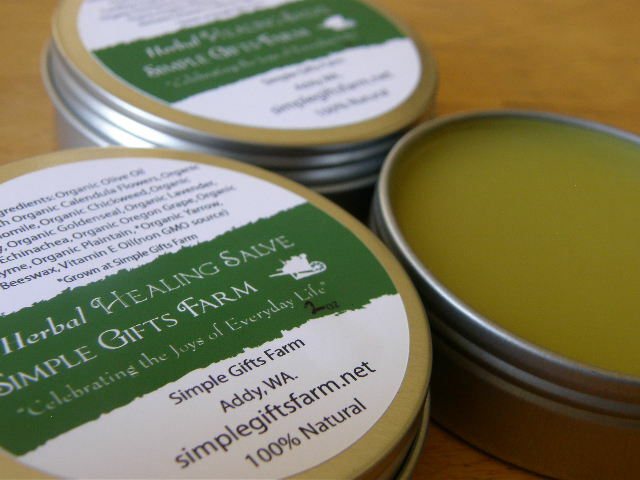 Whether you are climbing mountain peaks, gardening in the backyard, or traveling the world this healing salve is just the thing to soothe away the bumps and bruises that come your way. 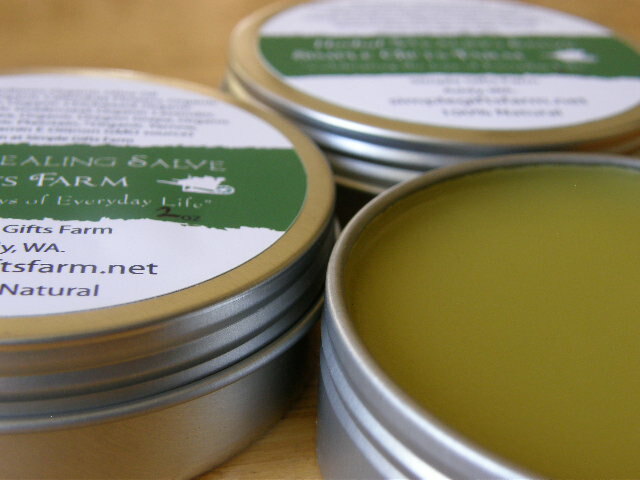 Filled with herbal goodness this salve is excellent for everything from dry chapped skin to bug bites and mild skin abrasions. 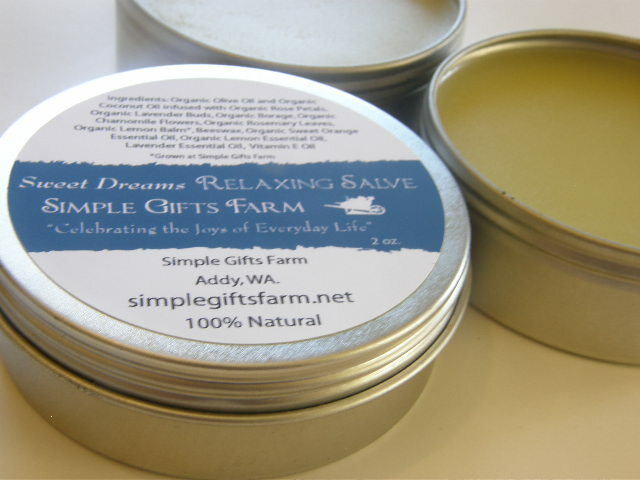 Contains a blend of organic herbs with soothing, healing and antimicrobial properties infused into a moisturizing blend of organic olive oil, beeswax, and vitamin E oil. 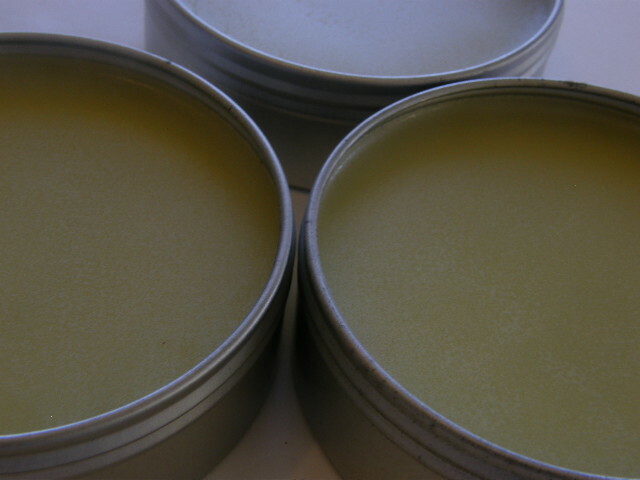 So throw a tin of this herbal healing salve in your backpack or purse and you will be prepared for whatever adventure awaits! Calendula Flowers- Wonderfully healing with all-around healing properties useful for a wide variety of skin irritations and conditions including wounds, insect bites, rashes, scrapes, abrasions, cuts, and much more. Suitable for sensitive skin and babies. Chamomile Flowers- Gentle and soothing for irritated skin. For minor abrasions, cuts, scrapes, and wounds. Chickweed- Soothing. 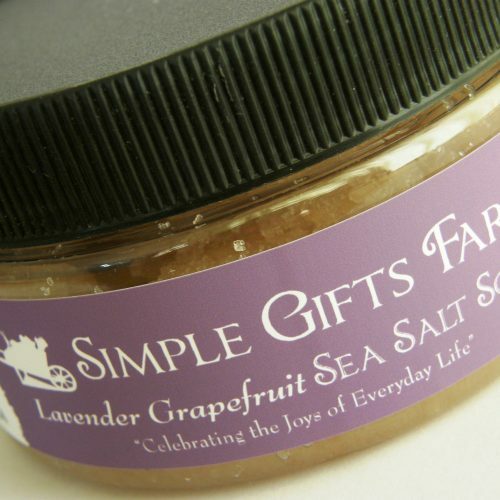 Helps with skin conditions including minor burns, and other skin irritations. Comfrey Leaves- Soothes occasional pain, swelling, supports muscle, cartilage, and bone. 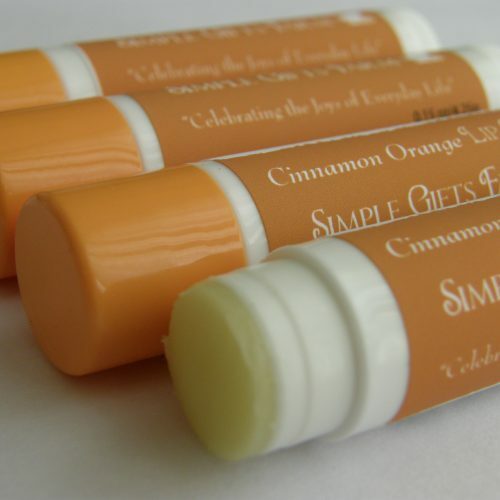 Useful for healing a wide variety of skin conditions. Echinachea Root and Leaves- Useful for minor sores, wounds, insect bites, and stings. Lavender Flowers- Soothing, calming, helps occasional pain, has healing properties for minor wounds and numerous skin conditions. Plantain Leaves- Helps speed the recovery process. Relieves and soothes insect bites and stings, poison ivy, itching, minor sores, bruises, blisters, and damaged skin. Thyme Leaves- Used for cuts, scrapes, and occasional sore muscles. Yarrow Flowers- Supports healthy skin. 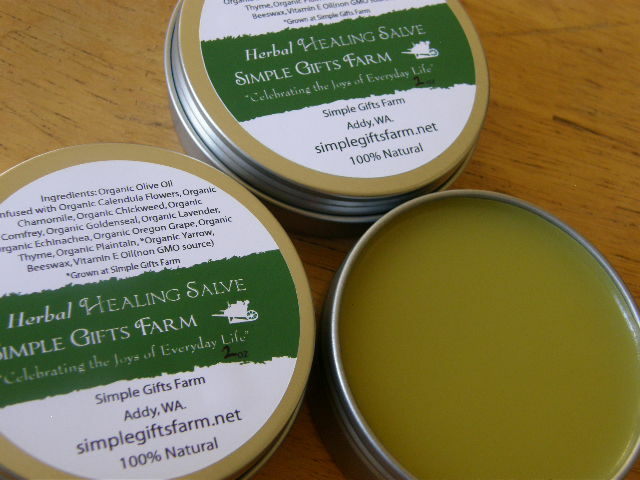 Apply to bruises, minor wounds, cuts, scrapes, and areas with swelling and bleeding. 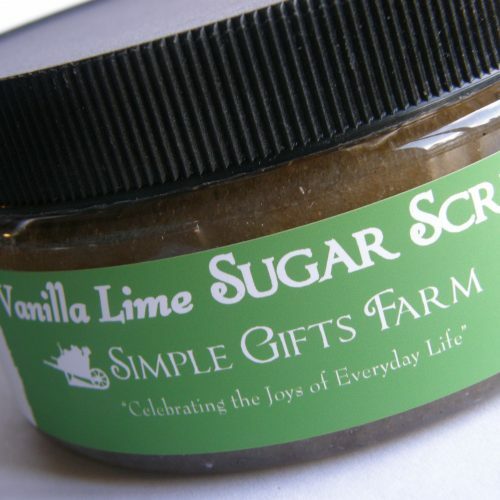 *Simple Gifts Farm products are not intended to diagnose, treat, cure, or prevent any disease and products have not been approved by the FDA. This information is provided for informational use only and is not a substitute for medical advice. Always seek advice of your physician or a qualified health professional with any questions you have regarding a health condition.